Summer has finally arrived in Virginia Beach and while the weather is turning, we are no less enthusiastic about the coin market. The fabulous Pogue collection auction concluded on Tuesday night with the two largest coins not selling due to aggressive reserves and, as some have said, seller’s remorse. However, the remaining pieces brought incredibly strong prices and it goes to show that there is indeed strength in the coin market once again. While we don’t see prices jumping dramatically in the coming months, we have seen certain stabilization in prices and high-end pieces are becoming increasingly difficult to find. Fortunately for DLRC, we deal in a little bit of everything and have found that collectors are still enthusiastic on most levels. We’ve been selling coins of all values in the past week. Even a few of our highlighted Morgans from last week’s CWL have found new homes. Alas, we’re prepared for Memorial Day next week, so we’ll be closed on Monday to honor our nation’s fallen. This holiday rings especially memorable for our region due to the numerous military bases surrounding us. For all of our readers who serve or have served our country, we thank you for your service. Why we love it: Out of the year’s plentiful 159,130,000 mintage, only about 120 coins have been certified at PCGS and NGC with the coveted strike designation of Full Split Bands. This example, which is bested by only four other coins, displays the matte surfaces and needle sharp strike that is so unusual for the date, yet seen on virtually every other 1945 Full Split Bands example we have handled. This coin is near perfection for the date! Value: A finer piece has not been offered in public auction in over seven years and despite the mintage, the Full Band designation is incredibly difficult to locate. You’re more likely to find a 1916-D in high grades than a 1945 in fact! 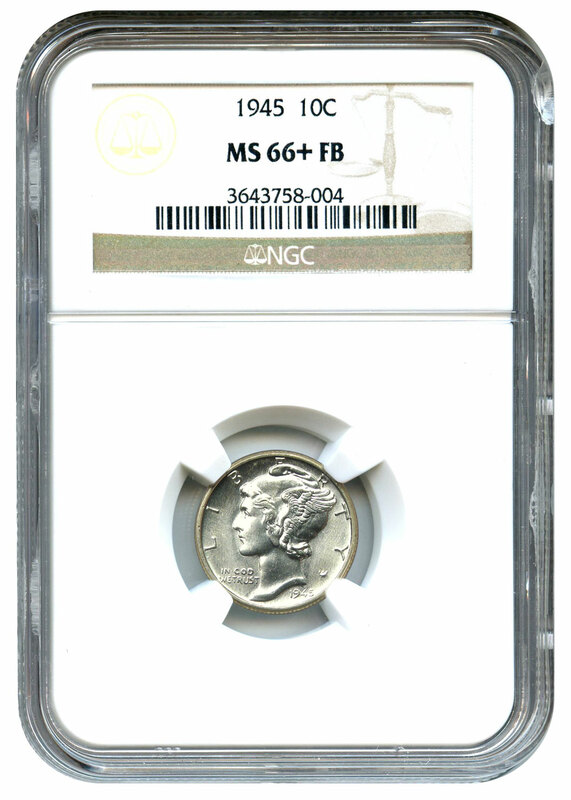 With the PCGS Price Guide at $23,500, we have priced this coin for direct sale at $16,500 on our website. Value: This coin is a fantastic rarity that we’ve not handled in quite some time. 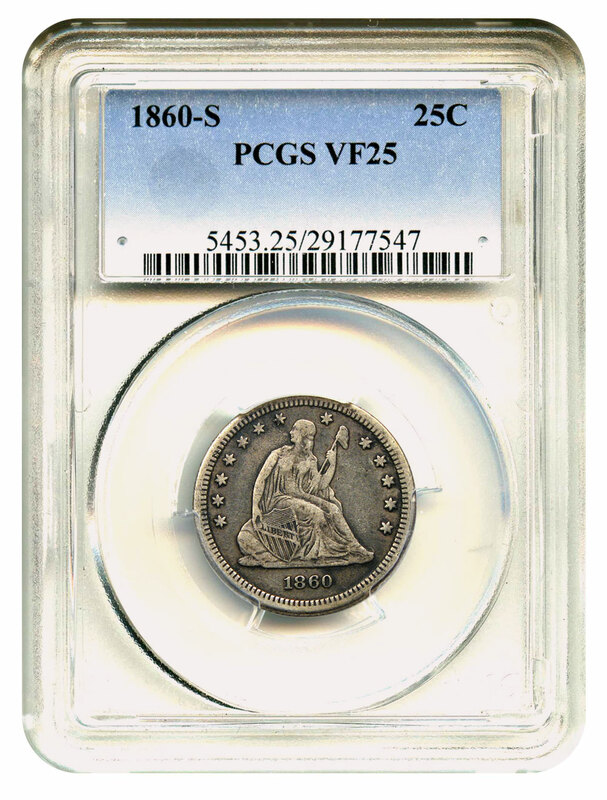 An unadulterated VF would cost well over $90k in today’s market, making this high quality coin, which is available for $64,500 via Make Offer, a great deal for the serious collector. It qualifies for our extended layaway plan if you need a little extra time. 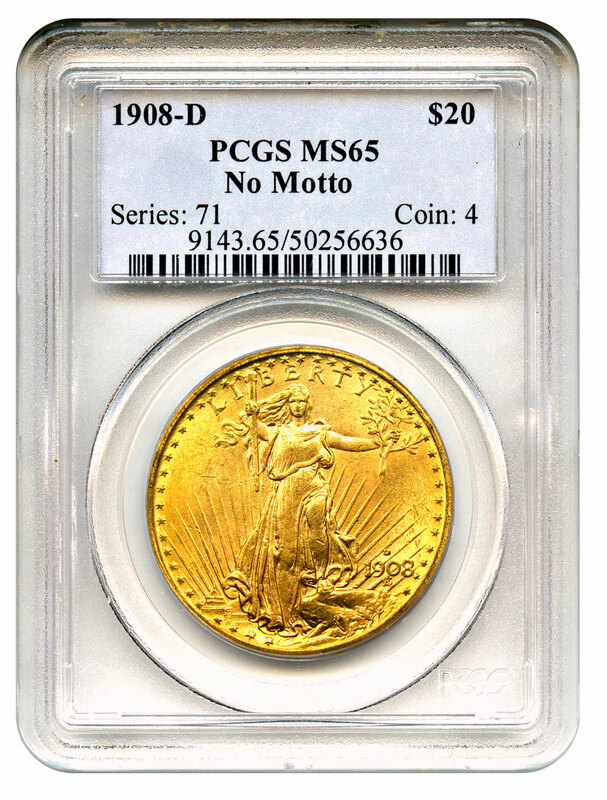 Why we love it: The 1908 Saint Gaudens issues from the Denver mint are significantly scarcer than their Philadelphia cousins, and that has a lot to do with their mintages. Denver produced just over 1 million coins for both No Motto and Motto varieties combined, and Philadelphia produced over 4.4 million. After years of melting and exporting, the Denver coinage has appeared to be the rarer animal especially in gem conditions. Only 22 examples have been certified finer than the current example, with the sole finest being an MS66+. 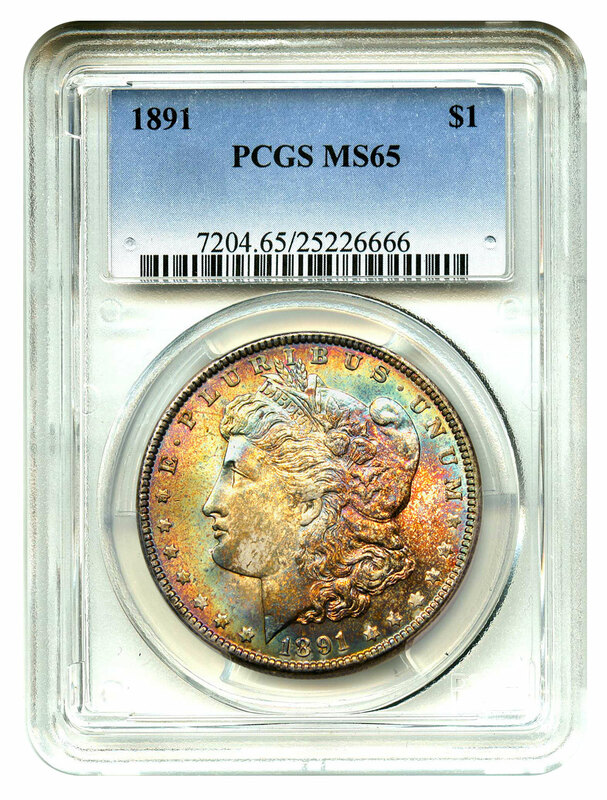 Value: Greysheet lists this piece at $6,500 with the PCGS Price Guide even higher at $7,000. The last auction records were just under $5,900, but we are happy to offer this coin for just $5,500 via Make Offer this week. 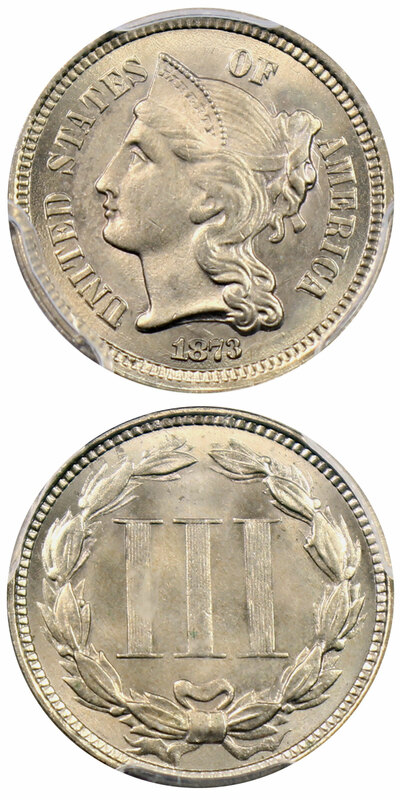 Why we love it: While struck as a medal, the General Beauregard “dime” is called that because of its resemblance to the denomination evidenced by its comparable size, reeded edge, and metallic composition. Of particular note are the upside down “V”s that stand in place for the “A”s, a makeshift solution that lends itself to the medal’s overall charm. Any Confederate States issues are quick sells at DLRC. This example is the first of its kind we have handled, so it is likely to be no different. Why we love it: This coin has a lot of great things going for it. 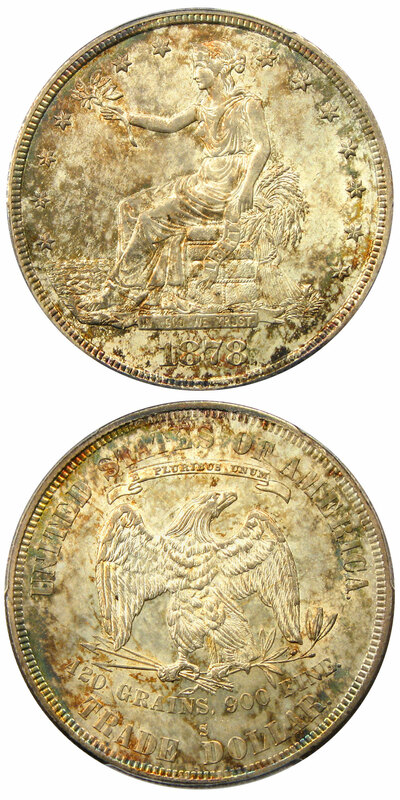 1891 is a scarce year in gem condition, which is reflected in the fact that the populations for MS65 are perhaps 7% of the total MS64s certified. 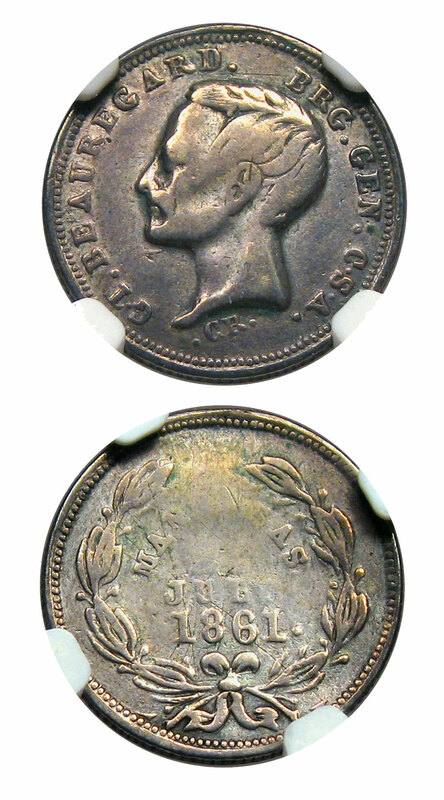 Only 14 coins total have been certified finer than this example. Not only does it have outrageous eye appeal and premium toning, but because of the rarity in the condition in general, you get the toning for free! Value: Greysheet promotes the pricing on this piece at $4,400, but you’d be hard-pressed to find such a lovely example without much searching. Despite this, we acquired this coin in a favorable transaction from another dealer, and we’re proud to offer it for just $3,750 via Make Offer this week. Why we love it: For overall quality, this is our favorite mint state Trade dollar that has come through in recent memory. Beautiful luster shines through a lovely patina that graces both sides in shades of gray, pastel yellow, and blue. Liberty’s left knee on the obverse is the usual place for wear to start appearing for the type, yet this coin remains remarkably devoid of any such friction. We cannot say enough nice things about the coin because it is truly superior than the vast majority of other available coins. Value: While we saw the prices on Trade Dollars drop over the past two or three years, it has been due simply to many inferior pieces selling. This lovely example is listed for $3,300 on our website, but can be purchased for just $2,700 via Make Offer this week. Why we love it: This coin is a member of the shockingly few examples that still exist for the date. To display the absolute rarity of the already low 56,000 mintage, fewer than 100 coins total have been certified by both grading services in all grades. Only nine of those coins are certified higher than XF! Our present example has the old silver surfaces that you expect to see and displays no major marks for the grade. A rare opportunity to acquire this coin! Value: PCGS lists the value at $5,750, but this week's CWL is offering this scarce pre-Civil War issue for just $4,750 via Make Offer. Why we love it: We have written a number of times about the huge number of date-mintmark-logotype combinations for 1873, and this is a worthy inclusion for a top-grade set. Delicate satin luster covers both sides and creates a cartwheel effect that gleams off its near perfect surfaces. With less than 20 coins certified finer for the variety, this coin would be hard to improve. Value: The PCGS Price Guide values this coin at $4,900. While these coins were bringing between $3,000 and $5,000 just a year ago, the current value has settled closer to $2,000. We can offer this scarce issue for just $1,950 via Make Offer this week. Why we love it: When we come across mid-circulated grade examples of early gold, we tend to find ourselves buying them because of the good value they represent. This coin, with its plainly visible overdate feature, exhibits better detail than expected for the grade and a pleasing color that presents itself in dusky shades of yellow and orange. 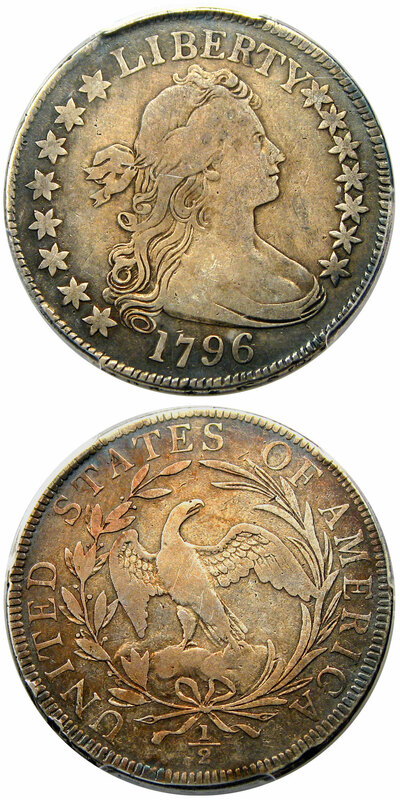 Value: An unusually affordable example of an early Half Eagle with a reserve of just $5,500 in this week's auction.